When creating the perfect landscape it can be easy to focus on the trees, shrubbery and flowers and forget to focus on what can really bring your yard together…hardscapes. Winter is the best time to begin construction on your design. Lifescape can build your hardscapes so that you are all ready to go for that beautiful spring weather. Here are some tips to consider when designing your yard for this spring. Take the time to develop a through plan as it will pay off with a great space and also save you money from redoing work if phased correctly. Even if you are just focusing on one small area of your yard for now you want to make sure to take think about the big picture. Create a plan that you will tackle in the long-term and then begin to take on small tasks one at a time. By focusing on the big picture in the beginning you limit the possibility of having to redesign years later when you think of another great idea. When designing be sure to think about what you want your outdoor room to be. Do you want a kitchen, fire or water feature? Perhaps a nice patio space. If so, for how many to dine? Do you want to incorporate an overhead structure for shade? Also consider the different materials to use based on longevity, cost and its aesthetic: stone and pavers can offer great solutions to replace cracked concrete. 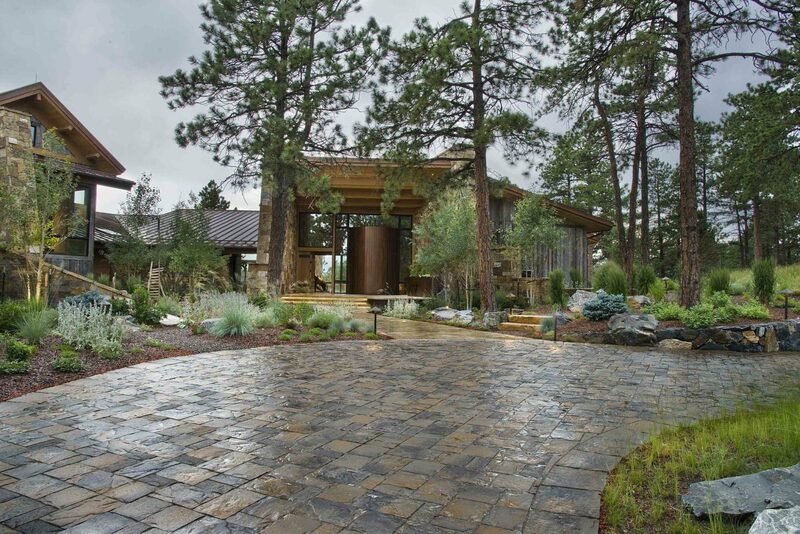 Consider pavers to replace an old driveway. 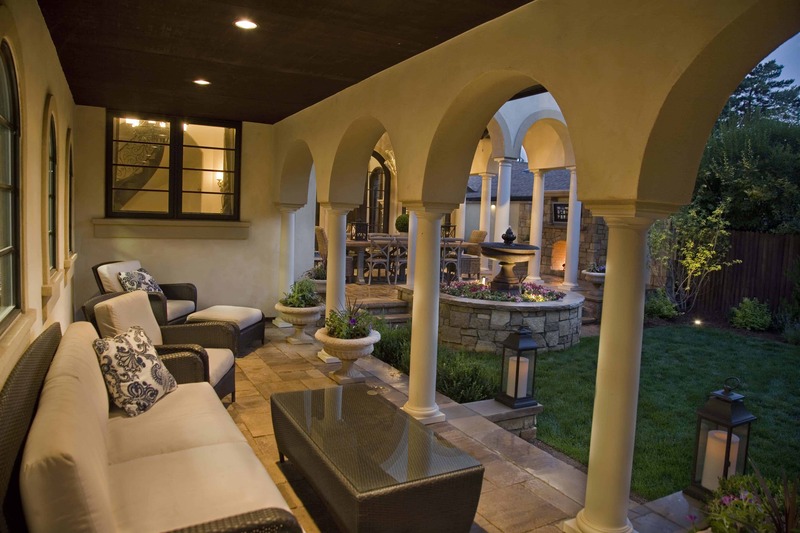 Creating an outdoor room will add value to you property and will give you the opportunity to enjoy more time outside! Finding that perfect feel is all about balance. Before starting a new project go ahead and think about the entire style of the design. Are you looking for that nice contemporary look? Or perhaps a bit more traditional? An earthy organic feel? Or maybe that broad-based eclectic look? As you put together your design also be sure to think about the placement and lines. You may be looking for a style in which you want to incorporate L shapes and blocked shrubbery or you may want to go for that natural organic look where you want to incorporate big boulders and gravel paths. Whatever you choose, make sure to keep the design to a balanced theme. Drainage can be an easy thing to overlook. During your planning you want to make sure to consider the drainage patterns your new hardscapes will create. You certainly don’t want to end up in a situation where water pools or even worse washes away your mulch. You may even want to incorporate a runoff where you can collect the water to use on the property. Don’t be scared to ask for help from the professionals. While you may be able to create a very beautiful landscape it never hurts to consult an experienced designer who understands all the nuances. It can be as simple as you don’t know what you don’t know and by hiring a professional you may not only come away with a beautiful design but you can also learn a thing or two. Lifescape offers master planning, phasing of projects, drainage expertise and remarkable construction.